A descent-into-hell psychological drama, Taxi Driver slowly drives along the path towards emotional carnage. It's a hypnotic journey, where one veteran's disgust with modern society methodically spirals downwards into an uncontrollable need to violently lash out. Travis Bickle (Robert De Niro) is a former Marine now living alone in New York City. Unable to sleep, he takes a job driving a taxi on the night shift. Unlike other drivers, Bickle accepts fares to the most dangerous corners of a decaying, crime-infested New York. Already disgusted with the scum that crawls on the sidewalks, his nightly exposure to the pimps, prostitutes, drug dealers and gangs intensifies his sense of social isolation. His only acquaintances are other taxi drivers, including the larger-than-life "Wizard" (Peter Boyle). As he drives around the city, Bickle spots Betsy (Cybill Shepherd), a beautiful political aide working on the presidential campaign of Senator Palantine, and fending off the unsophisticated advances of fellow worker Tom (Albert Brooks). 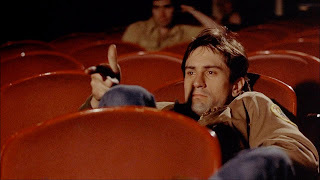 Bickle's attempts to get to know Betsy are promising at first, but the relationship collapses on a movie date when he takes her to the wrong type of theatre. Bickle also builds an unlikely interest in Iris (Jodie Foster), a very young prostitute who goes by the street name "Easy" and is fully controlled by her pimp "Sport" (Harvey Keitel). Bickle buys several illegal guns and spends time on target practice. His emotional isolation turns to quiet rage, and his painfully twisted brain conjures up plenty of possible targets. Today it is called Post Traumatic Stress Disorder, but screenwriter Paul Schrader wrote Taxi Driver before the label existed, and there has rarely been a more powerful screen examination of a mind spinning away, ever so slightly and imperceptibly to others, from its normal orbit towards the darkest of dead-ends. Travis Bickle never stops functioning in society, does not reveal himself as blatantly mad or potentially violent towards others, keeps on working and almost normally interacting with others. Meanwhile he gathers a lethal arsenal and convinces himself that people need to die, to serve some purpose that only his damaged brain can fathom. It's his relative social normalcy prior to his emotional disintegration that is the disturbing core of his story. Director Martin Scorsese and cinematographer Michael Chapman bathe New York with the sickly light of all-pervasive neon cutting through the night, with Bickle's yellow taxi adding to the garish surroundings and propagating the artificial glow. The daytime scenes, primarily portraying Betsy's world, are mostly filmed in bright sunlight, the New York of normal people oblivious to the infestations that take hold at night. Bickle's small and lonely apartment is a depressing place, the ramshackle furniture and claustrophobic walls doing nothing to improve his mood. 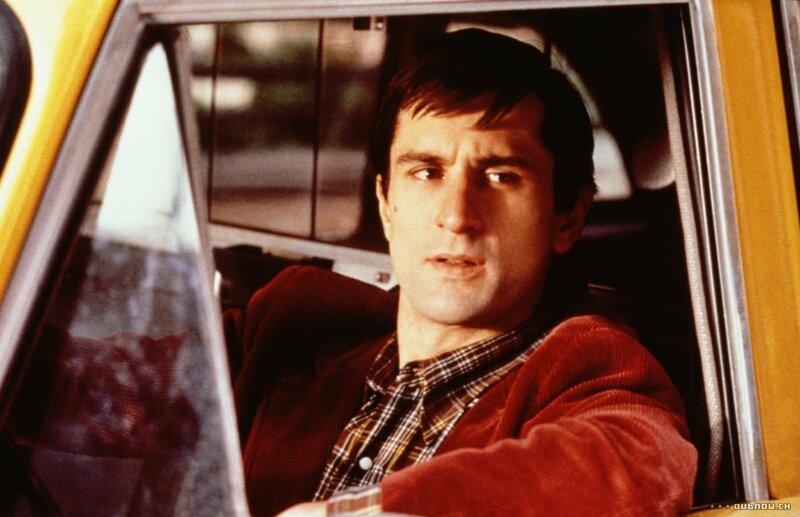 Ironically for a role in which he portrays a driver, Robert De Niro delivers the performance of a passive passenger unable to change the destructive course that his brain is on. Never outwardly animated, most of what Bickle is suffering occurs behind De Niro's eyes, with the building lunacy only beginning to ooze out when he is alone, most notably in the quietly disconcerting "You talkin' to me?" sequence in front of his mirror. The other inhabitants of Bickle's world are quite distant, with Betsy and Iris existing in opposite corners of his universe. Betsy is completely out of Travis' league, the only surprise being how long it takes her to realize that the thrill of hanging out with a mildly charming taxi driver has an extremely limited shelf life. Shepherd gives Betsy a bored urban career girl vibe, a wickedly attractive woman who can have any man she likes and is therefore impulsively attracted to the unknown represented by an infatuated loner. Iris has no idea that she is already at the bottom of life's barrel, Foster filled with wide-eyed innocence, and the film reaches a mortifying highlight when she slowly dances with Keitel's pimp, fully believing that he is her protector and that their relationship represents love. Bernard Herrman's melancholy jazz score seeps loneliness from every pore, providing a mesmerizing, even encouraging, companion in the exploration of gloomy physical and emotional places best left alone. It was Herrman's final movie soundtrack, and Scorsese dedicated the film to the composer. 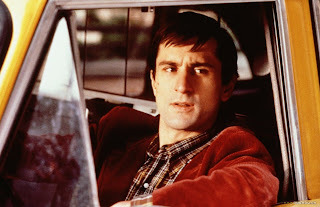 Taxi Driver responds to the call, picks up on time, and triumphantly drives to a cinematically resplendent destination. Personally my favourite of Scorsese. I first saw it on german TV RTL when I was around 10 or 12, so I didn´t understand anything, just looked at the images. Than I saw it few years later in my language and I just became addicted to this film, it was like a perfect drug, I thing many people have it like this. This film is just like the worst nightmare you could have live in, but fortunately you don´t. 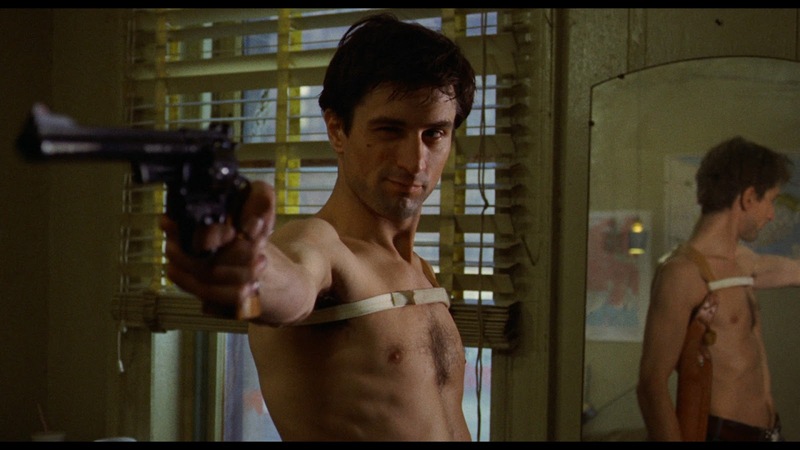 But Travis Bickle is in everyone, a little bit at least. This film is really just perfect and De Niro gives performance of a lifetime and with due rescpect to Peter Finch, I personally would give an Oscar to De Niro for this, even if Finch was also great in Network, I´d still think De Niro is absolutely unique in this, it´s his finest performance, even better than in Raging Bull, where he relied on physical transformance than on psychological aspect of acting like here. Nevertheless Taxi Driver is cult, true cult movie. Fully agree. This film is a living neon-drenched psychological nightmare set to a beautiful soundtrack, and De Niro is perfect.